We’ve all heard the old adage “work smarter not harder” but it’s never been that easy to achieve; until now that is. JLCooper, DirectOut Technologies, Stage Tec and Jünger Audio have all developed devices to save time and reduce costs; so if you’re travelling to the land of tulips and Heineken for IBC2016 it will be well worth your time to include them in your IBC itinerary. For a personal demonstration with any of these manufacturers or to meet up at the show call Chris Collings +44 7836 324509 or me +44 7788 995747. Alternatively, send us an email office@aspen-media.com. 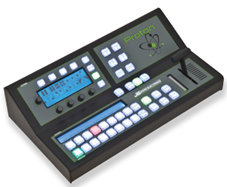 Proton is a compact, portable BlackMagic Design ATEM switcher controller built for fast switching in Live environments. With just a single cable to connect to the ATEM switcher it couldn’t be easier or quicker to set up and there you are, ready to go with instant access to all your video sources. And at a fraction of the cost of other ATEM switchers it will pay for itself in no time. See the full range of JLCooper’s time-saving controllers on stand 7.C03 including AXOS, a surround panner for Pro Tools and SloMo Mini, a slomo controller for recorders including BlackMagic Studio and AJA KiPro. If MADI is the audio format you work with, you’ll want to make your way to stand 8.E85 where MADI specialist DirectOut will be demonstrating its range of MADI routers, converters and interfaces. Have you been stuck with a problem on one of the sixty four channels in the MADIstream, you don’t know which one and it’s minutes away from broadcast? The quick and easy answer is to reach into your toolbox, pull out your MADI.MONI, connect it to the cable via SFP, SC or BNC and plug in your headphones. You can quickly whizz through all the channels and find the one with the problem and you’re away. MADI.MONI is only one of a range of MADI monitoring devices you’ll see on stand 8.E85. Definitely worth a look. The powerful new Platinum DSP installed in the AURUS and CRESCENDO mixing desks on the Stage Tec stand 8.C80, more than doubles the mixing capacity of new and existing consoles and adds close to three seconds of audio delay per channel to make the correction of lip sync for example, a piece of cake. All this AND it costs less than the old one, what more can you ask? There’s also a new XFOC that adds 2000×2000 audio routing to every NEXUS base device. 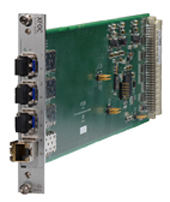 The 512 channel fibre ports and 8000×8000 routing of the XRT enables mesh, ring and star audio network configurations to meet the ever more complex audio routing and distribution needs of current broadcast systems. Smart Audio is a means of delivering high quality, compliance, intelligibility and dynamics efficiently and with minimal intervention or control, saving time, money and effort. Find out how you can benefit from the Smart Audio experience. Ask to see Junger Audio’s range of D*AP audio processors on stand 10.A49 and the auto levelling, auto loudness control and adaptive EQ they deliver. D*AP processors incorporate the industry standard Ember+ remote protocol for seamless integration with other devices in the broadcast environment. If you’d like to know more about any of the companies or products mentioned above you can email office@aspen-media.com or call 01296 681313, we’d be delighted to hear from you. And don’t forget, we’d love to see you at IBC.